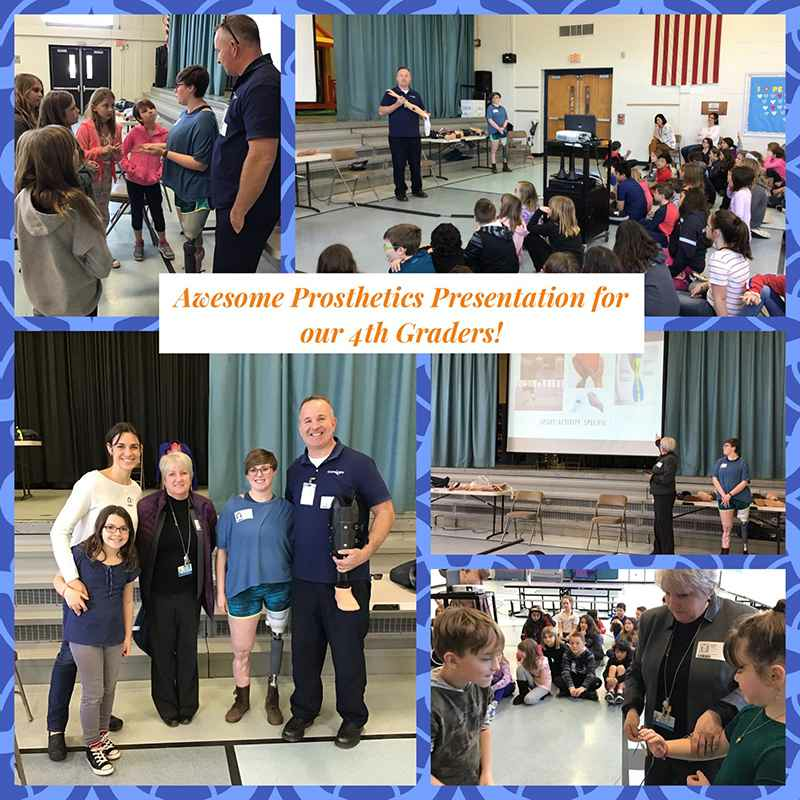 The fourth graders at Doylestown Elementary had a treat today when our own John Izak and our patient Gia paid a visit and gave an AWESOME Presentation on #Prosthetics to a large group of inquisitive kids! 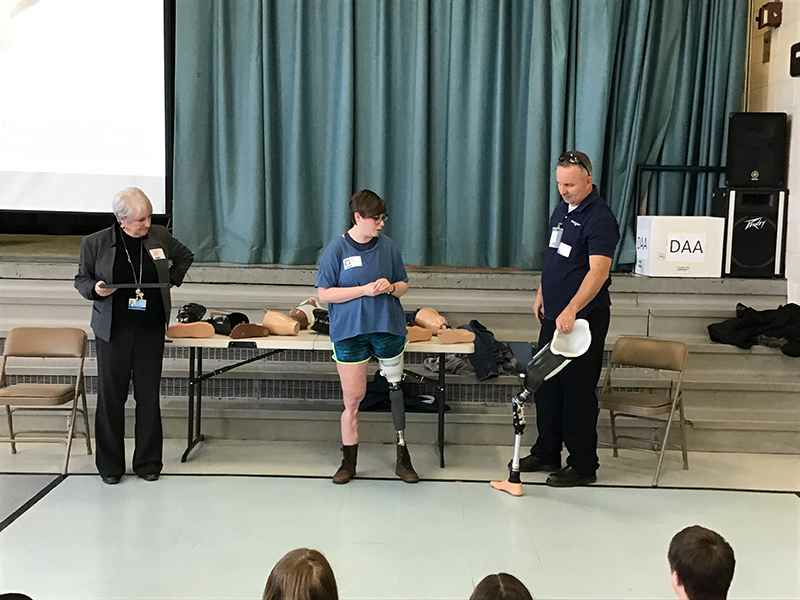 Gia showed off her AK prosthesis and John is a Certified Prosthetist and Orthotist and talked about all the new, hi-tech feet, microprocessor knees and hands. Will there be a future practitioner in the class? 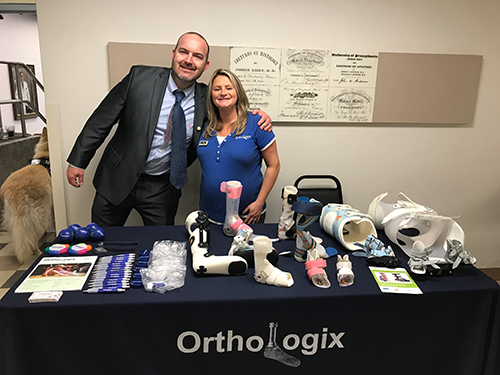 Orthologix was a co-sponsor for the Orthopaedic Rehabilitation Association's 2017 Annual Meeting hosted by the Children's Hospital of Philadelphia. Pictured is Program Chair and Director Dr. Keith Baldwin, MD, MSPT, MDH with Orthologix's Emily Jackson, BOCPD, COF. 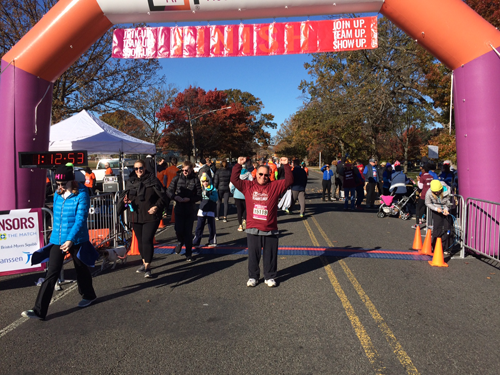 Dr. Baldwin is a friend & colleague of Orthologix and is an attending surgeon at CHOP with a focus on treating neuromuscular conditions and orthopaedic trauma. 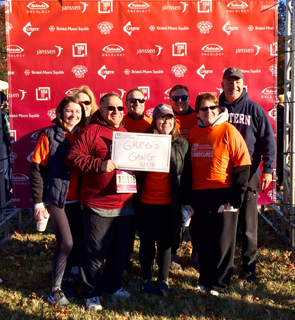 Orthologix CPO Greg Pieri, and Greg’s Gang 2016, were part of thousands across the country participating in the Multiple Myeloma Research Foundation 5K Run/Walk, a series of events held annually in 11 cities across the country to raise awareness and money for multiple myeloma research. 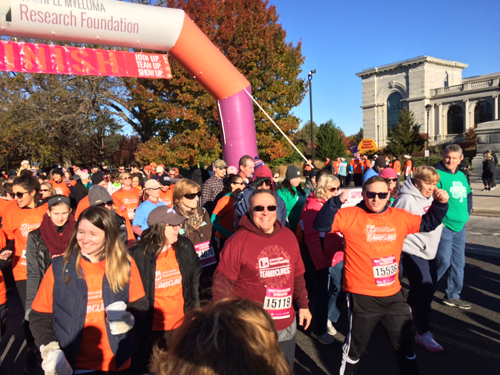 Philadelphia’s event was held Nov. 12, with a fund-raising goal to exceed $250,000. Orthologix pediatric patients who will be using a DAFO (Dynamic Ankle Foot Orthosis) now have an opportunity to see how their personalized orthosis will look through a virtual website. 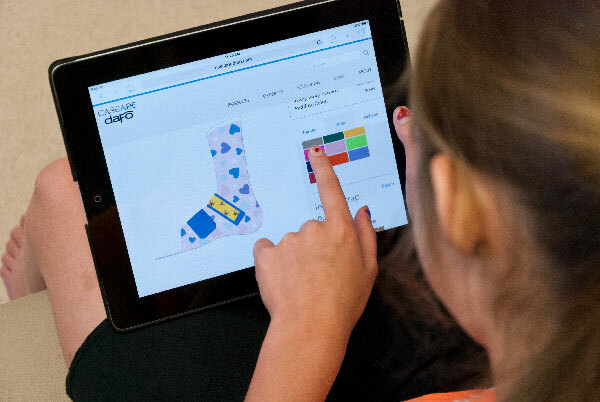 The DAFO Creation Station lets patients “try on” the various transfer patterns, ribbon designs, and padding colors with a virtual DAFO. You’ll always find the latest transfer patterns (we just added quite a few new patterns last week) and it’s super easy and fun to use. Patients can decide on their designs at home prior to the casting appointment, or they can pull it up on a tablet or smartphone during the appointment. It’s fun for kids to do and gets them excited about what they will be wearing. Check it out at Cascadedafo.com. It was a great reunion at the Philadelphia Phillies game on Memorial Day when John Izak caught the ceremonial first pitch from student Trevor Newhouse at First Responders Night and CPR Awareness. Trevor is the young soccer player who collapsed during a game last October at Pennbrook Middle School. He went into sudden cardiac arrest. John Izak was at the game in the stands and in addition to being a certified prosthetist, is an assistant chief with the Nottingham Fire Department - Station 65. With the help of John, a school EMT and the local fire department, Trevor was transported to Lansdale-Abington Hospital and then flown to Children's Hospital of Philadelphia. As you can see, he is doing well! 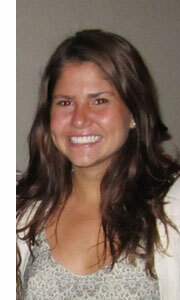 Orthologix has recently added Amanda Nigrelli, CPO, to its staff of certified practitioners. Amanda, who has been fitting orthopedic braces and support systems to assist patients with weak or injured muscle/skeletal groups as a certified orthotist, recently received her certification in prosthetics from the American Board for Certification in Orthotics, Prosthetics & Pedorthics. 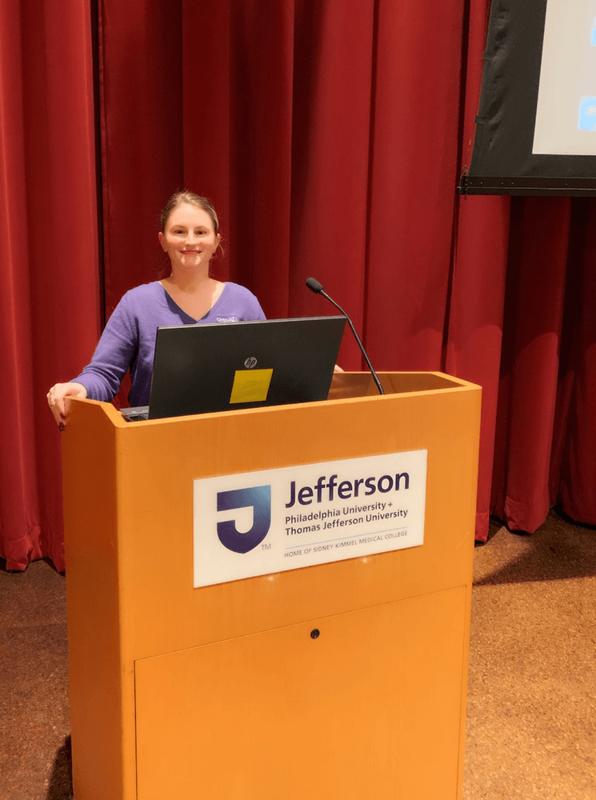 In addition to seeing patients at the Trevose office, she also is a member of the Orthologix team working with patients at the Children’s Hospital of Philadelphia (CHOP). 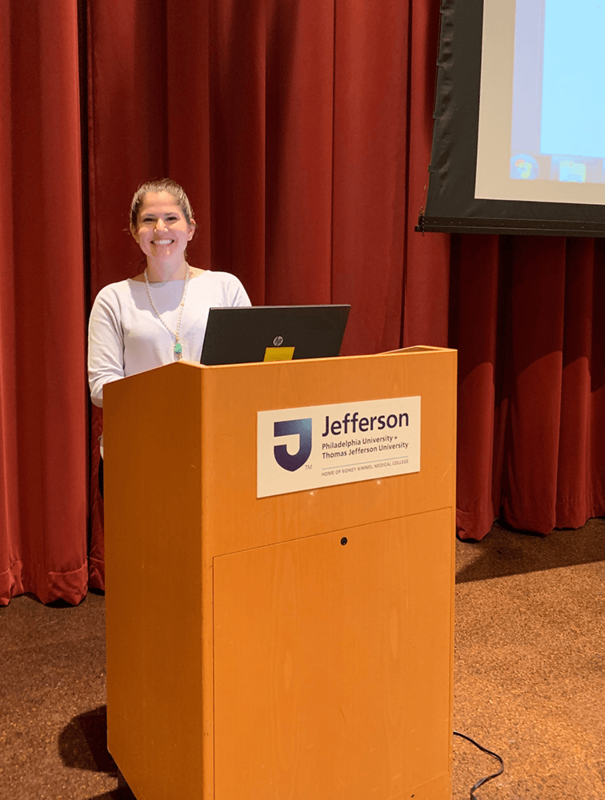 Amanda is a graduate of the University of Pittsburgh with a bachelor’s degree in health and rehabilitation science and a master’s degree in orthotics and prosthetics. A native of Reading, Pennsylvania, Amanda currently resides in Philadelphia and practices a patient-centric approach to health care. In her free time, she enjoys going to the beach and spending time with friends and family. John Izak, CPO, recognized for saving a life and starting a program to save others from life-threatening events. Bensalem volunteer firefighter John Izak recently was honored by Bensalem Council for helping to save the life of a youth soccer player during a game. 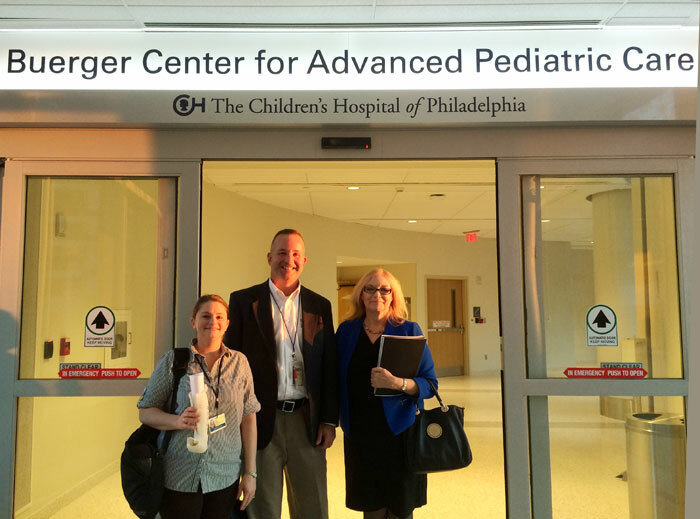 Orthologix congratulates The Children’s Hospital of Philadelphia on the opening of the new Buerger Center for Advanced Pediatric Care. Emily Branca, COF, C.Ped., John Izak, CPO, and Eileen Levis check out the new facility. Orthologix prosthetists Susan “Sam” Marvin CP, BOCO, and Jeff Shaw, CP, participated in the Amputee Veterans’ Next Step Golf Clinic Sept. 17 at the Pitman Golf Course. Orthologix was a sponsor of the event organized by the Philadelphia VA Medical Center and VA Healthcare-VISN 4. The goal is to give the veterans the tools they need to be able to play a game of golf on their own and continue on the path of rehabilitation and recovery. Orthologix is launching the first Patient Navigation program focused on orthotic and prosthetic patients. The two-year pilot program will begin June 1, 2015, with phase one devoted to prosthetic patients, and particularly new amputees. 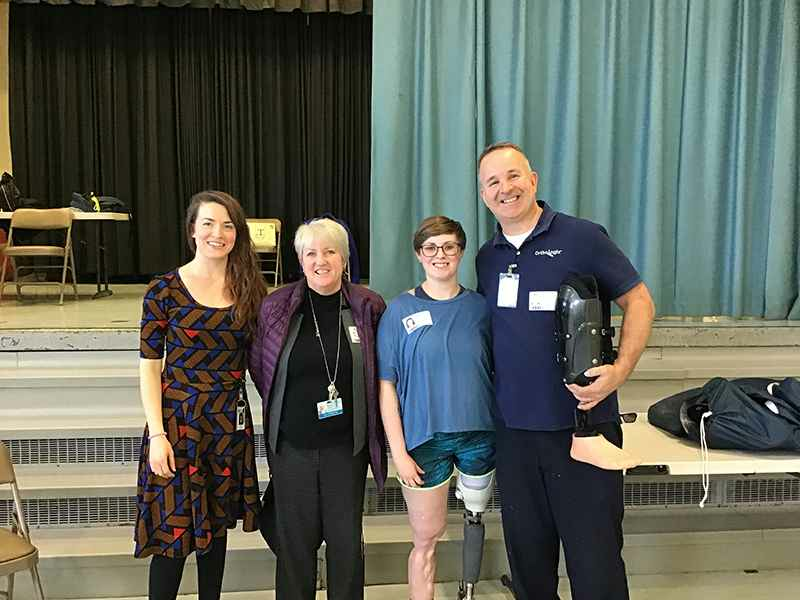 While patient navigators are more closely aligned with cancer treatment, cardiology, and other life threatening issues, orthotic and prosthetic patients face many of the same kind of barriers. The program is founded on the principals of the Harold P. Freeman model, pioneered in 1990 for the purpose of eliminating barriers to timely cancer care. It remains the Gold Standard of patient navigation models. "The Orthologix patient navigation program is structured to assist patients on eliminating barriers across the rehabilitation continuum," said Eileen Levis, president of Orthologix. "Those barriers can be communication related, lack of understanding of the rehabilitation process, physical barriers such as mobility or transportation, or missed appointments. Outreach and education is at the core of our program. 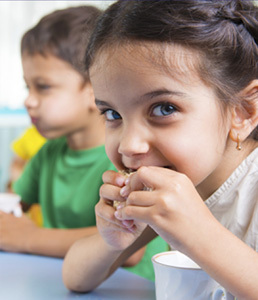 Since transitioning our practice to a patient-centered model, we have implemented programs such as Healthy Happenings, which focuses on nutrition, well being, and a healthy lifestyle. The patient navigation program integrates well and reinforces our mission of a holistic, patient-centric approach to care." 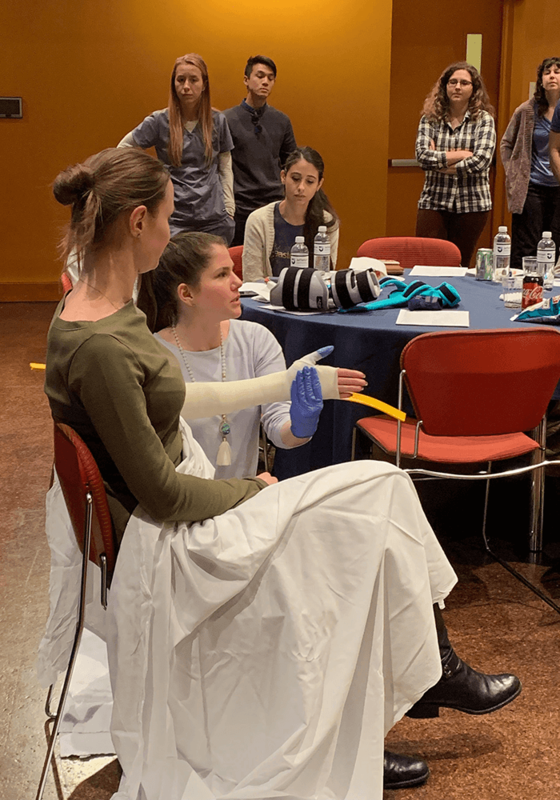 Orthologix patient navigators are currently completing their training through the University of Colorado School of Public Health and will be working with five regional insurance carriers in the tri-state area as well as local health systems. Levis emphasized that Orthologix patient navigators are non-clinical navigators and they do not offer medical advice. "Their purpose is to help coordinate patient care, connect patients with resources, and help them reach optimum outcomes. Many insurers utilize online navigators through portals, which are sometimes difficult for patients to access or understand. Our navigators will assist with connecting patients to their insurers or health-care system navigators, case managers, nurses, and other rehabilitation team members. "Since the Affordable Care Act, quality benchmarks are being mandated in all areas of health care," Levis said. "It is certainly a ‘when’ and not an ‘if’ for the orthotics and prosthetics field. Within O & P we have seen great outcomes. The Dobson Davonzo study demonstrates that. We believe by helping to remove barriers, patients can do even better." Thursday April 23, 2015 at 6 p.m.
Orthologix is pleased to offer a series of Health Happening Events in conjunction with Whole Foods Markets. Interested in learning naturally gluten-free dishes? Enjoy an informative lecture as well as taste the delicious food prepared by a Whole Foods Healthy Eating Specialist. Please RSVP by April 17 to info@orthologix.com. As this is a free event and space is limited, please register early. 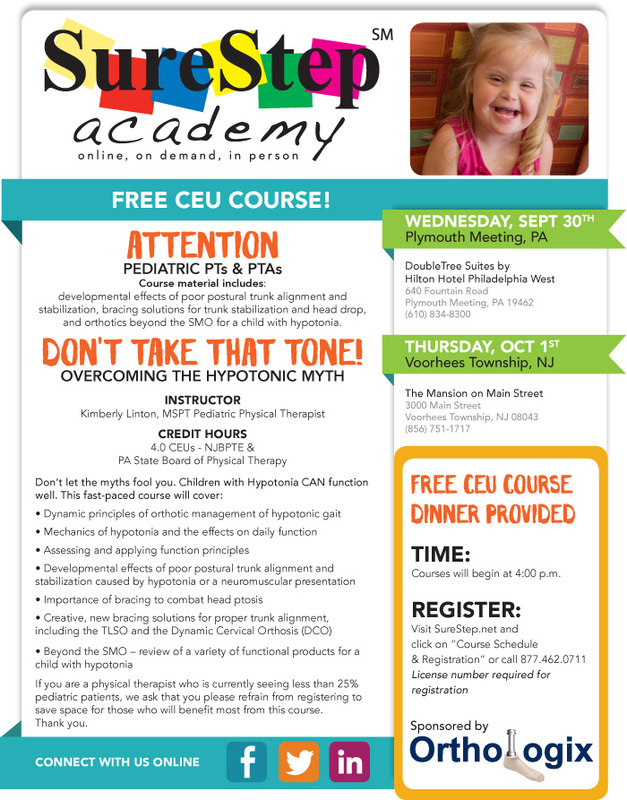 Managing the pediatric CP patient involves dealing with a host of lower quarter and potential hip dysfunction issues. In addition to tone complications, there is the additional issue that these patients are still going through developmental processes and orthotic intervention has the potential to exacerbate those events. This course presents biomechanical concepts for both the hip and lower quarter, investigates the impact tone has on those structures, and proposes orthotic interventions that can overcome deformities, assist in function capacity while facilitating more normal developmental processes. Ken Cornell earned his bachelor degree in biology at St. Anselm’s College in Manchester, NH and completed his postgraduate work in orthotics and prosthetics at UCLA in 1980. 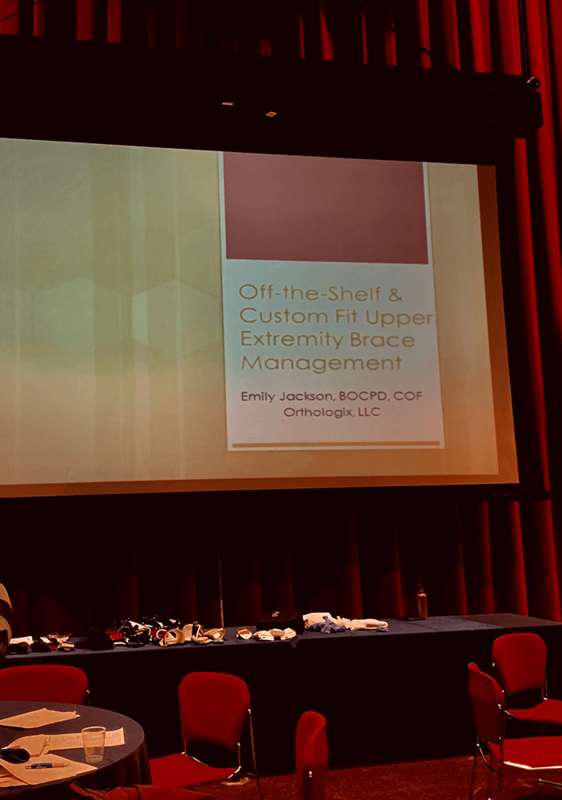 Ken has long been active on the board of the New England Chapter of the American Academy of Orthotists and Prosthetists and is a past president. He lectures regularly at local colleges and hospitals. Derby is a dog who was born with malformed front legs. Unsatisfied with the currently-available wheeled options to assist disabled dogs, Derby’s owner sought additional help. The result was a set of custom designed, 3D printed prosthetic legs that allow Derby to run and play, just like any normal dog. Click here to receive future newsletters.